Is The Slim, Folding JLL Ventus 1 Air Rower Reliable Enough? 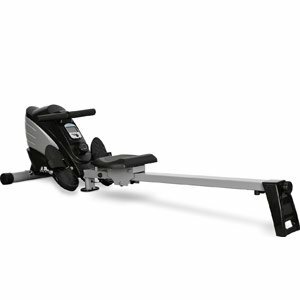 The JLL Ventus 1 Air Rower is a good looking rowing machine that will stand out against some of the larger, bulkier items on the market. There is something eye-catching about the big yellow star shape over the vents of this air rower. Whether that has any psychological significance on the rower remains to be seen. There is, however, no doubt that the long rail, comfortable looking seat, large foot plate and handlebar should all play their part. Are users impressed with the workout achieved here?